On 29 September, the ADF announced that eight Iraqi civilians, including two children, were believed to have been killed or seriously injured during its operations against the Islamic State terror group in the Iraqi city of Mosul. The chief of joint operations, Vice Admiral David Johnston, revealed details of two events he described as tragic and unintentional. These two episodes demonstrate the extreme difficulty of fighting an enemy that murdered and raped its way across Iraq until it was stopped, in large part, by coalition air strikes and that shelters in densely built-up areas among civilians. The losses also prompt a look at the processes the ADF has in place to avoid civilian casualties as the fighting continues. IS rampaged through northern Iraq in 2014, using a spearhead of vehicles packed with explosives and driven by suicide bombers as a form of human artillery to overwhelm stunned Iraqi army units. It captured the major city of Mosul, shooting or beheading thousands of prisoners, declared a caliphate and set up slave markets where women and young girls and boys were sold to its fighters. 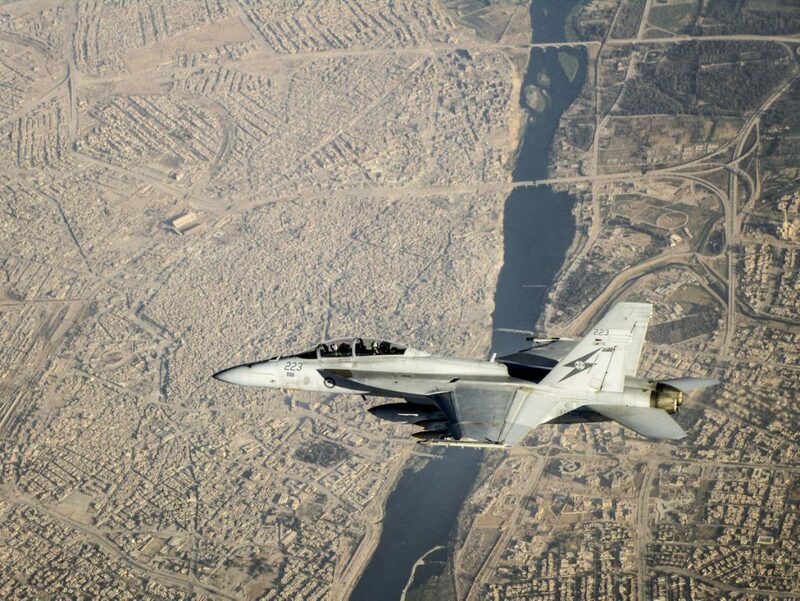 A US-led coalition launched a counter campaign using air power to blunt the IS advance while instructors and advisers, including many from Australia, helped rebuild the confidence of the shaken Iraqis. This was a strategy easily applied in the early days when IS operated as a supremely confident conventional force riding in US vehicles captured from the Iraqis and streaming black flags. 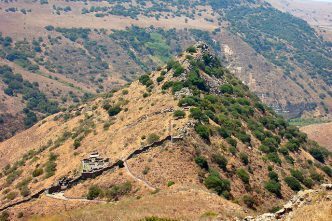 The terror group was out in the open and relatively easy to hit. That changed when the campaign switched to brutal face-to-face fighting in the narrow streets of Mosul’s old quarter. As the fighting progressed from house to house, the IS fighters rounded up civilians as human shields and set booby traps behind them as they retreated. 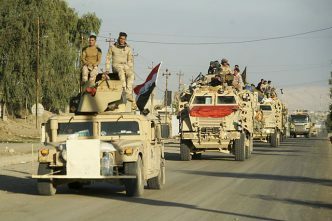 This time, Iraq troops proved willing to take on IS and they died in large numbers retaking the city with its estimated 1 million inhabitants. Between 1,200 and 1,500 Iraqi soldiers were killed and an estimated 8,000 more wounded. That toll would have been vastly more if it were not for allied air power. Commanders on the ground noted that precision weapons launched by pilots with a view of the action beamed to them from manned and unmanned surveillance aircraft were much more likely to hit their the enemy and much less likely to kill civilians than artillery fired by troops on the ground. Pilots have the right to abort attacks if they or their commanders have any doubt about their targets. Australia’s rules of engagement are among the most robust of all the coalition nations in Iraq, and key officers all along the command chain, from the cockpit back to Canberra, have the right to throw up a red card if they’re not satisfied about the safety of hitting any ­target. Modern GPS- or laser-guided bombs have significantly reduced the likelihood of unintended casualties. A pilot at 20,000 feet can usually hit a target the size of a garage door on a building 20 kilometres away. In the World War II battle for Normandy, at least 15,000 French civilians were killed, many of them by bombs dropped from hundreds of Allied heavy aircraft that were covering huge areas to score relatively few direct hits on their intended targets. Coalition commanders say 53,948 air attacks were carried out in Iraq and Syria between August 2014 and August 2017. They say those strikes killed large numbers of IS fighters and at least 735 civilians. Those killed included more than 100 civilians who died when a US air strike in Mosul detonated explosives that had been placed in a building by IS. A further 350 claims that civilians were killed in strikes are still being investigated. Some of those involve more than one death. The first incident described by Johnston occurred on 30 March this year, when a member of the ADF was part of the decision-making chain that authorised an air strike on a group of people believed to be armed IS fighters in a position to attack advancing Iraqi forces. Seven civilians were killed or injured, including one believed to have been a child. An intelligence assessment followed (as it does with all such strikes), which indicated that, despite earlier advice to the contrary, those killed were not armed. A briefing given to the media didn’t clarify who was responsible for the miscalculation, or which allied country carried the responsibility. No Australian aircraft were involved in the operation and it’s not known exactly what role the ADF member played. 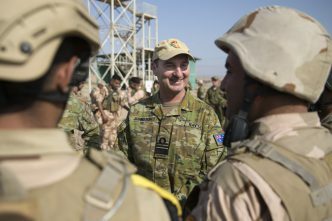 ADF personnel fill key roles in such operations. Some are aircrew in the strike jets or command and control aircraft and tankers. Some are legal and other advisers who assess whether targets are legitimate and safe to hit. Others are members of the special forces (joint terminal attack controllers) who follow the progress of Iraqi forces using imagery from manned and unmanned aircraft and, when necessary, call in air strikes to support them. Johnston said that the information that the people targeted were armed came from a credible source which those involved in the decision-making process had no reason to question. The second incident occurred on 7 June, when Iraqi troops who were pinned down by IS fighters firing on them from a residential building 20 metres from their position called for help. A RAAF Hornet strike aircraft was sent to hit the building. After an assessment of the target, the jet dropped a ‘low collateral’ precision-guided bomb, designed to hit the IS fighters without killing others in the vicinity or causing excessive damage. The bomb is believed to have killed or injured two IS members and a civilian who was carried out of the building in somebody’s arms. The civilian appeared from surveillance footage to be a child. Johnston said Australia’s strict rules of engagement were followed. Everything possible was done to ensure targeted areas were clear of civilians before and during the strike. While there is always a risk of inadvertent casualties from combat operations, the process was highly effective, he said. Additional training has since been introduced for those involved in calling for, planning and assessing attacks. As the officer in charge of operations in Australia and overseas, Johnston had just emerged from a ‘targeting board’ meeting at his Joint Operations Command HQ in New South Wales when he spoke to The Strategist. 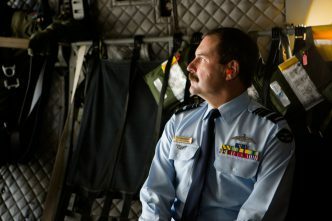 The board had considered a query from a commander in the Middle East about whether the RAAF could hit an IS position. Such decisions can sometimes be made by the forces in Iraq, but they’re passed up the line to HQ JOC when there are doubts about the presence of civilians or concerns that buildings such as mosques or other valuable infrastructure might be damaged. If necessary, Johnston can send them up the line to the chief of the ADF and the secretary of the Defence Department, and then to the defence minister if necessary. Targeting meetings start with an operations update. ‘That’s followed by an intelligence update—what the adversary is doing so that we’re clear on any changes in tactics’, Johnston says. ‘The targeting specialist will then present on the decision that’s required and the factors relevant to it. Then the key legal advisers will say here are your rules of engagement and the legal authorities available to you and they’ll provide me with a view on whether the proposed actions are consistent with them. Intelligence assessment processes across the coalition forces were strengthened last year after an air raid killed up to 83 Syrian government soldiers who were mistaken for IS members. A series of mistakes resulted in aircraft from Australia, Britain, Denmark and the US killing the Syrian troops in their camp near Dayr az Zawr early on 18 September 2016. The camp was hit by 37 bombs and missiles, including six bombs dropped by RAAF F/A-18 Hornets. A RAAF Wedgetail early warning and control aircraft, also over Syria, helped coordinate the mission but its crew was not involved in planning the strike. A senior RAAF officer said the realisation that they hit Syrian troops fighting ISIS was ‘gut-wrenching’ for the Australians. The US-led investigation found that the airstrikes were conducted in full compliance with the rules of engagement and the laws of armed conflict. But coalition intelligence assessors made a ­series of small miscalculations and important clues were missed when the operation was planned. In a frighteningly difficult war against an inhumane enemy, the tragic outcome was a consequence of what the investigators called ‘human factors’. Brendan Nicholson is defence editor of The Strategist. Image courtesy of the Department of Defence.